Please note that these are brand new items, mostly still in retail packaging. We have not inspected or tested these items. This Listing is for the full wholesale lot (Approx. 100 Pieces). Sets are counted as ONE Item!! The brands that may be included are a mixture of: Monster High, Bongo, Joe Boxer, Piper, Trendzone, 1 Direction, Route 66 and more. The styles will include a mixture of: Bracelets, Necklaces, Ear Rings, and More. Please see pictures for examples of items in this lot. 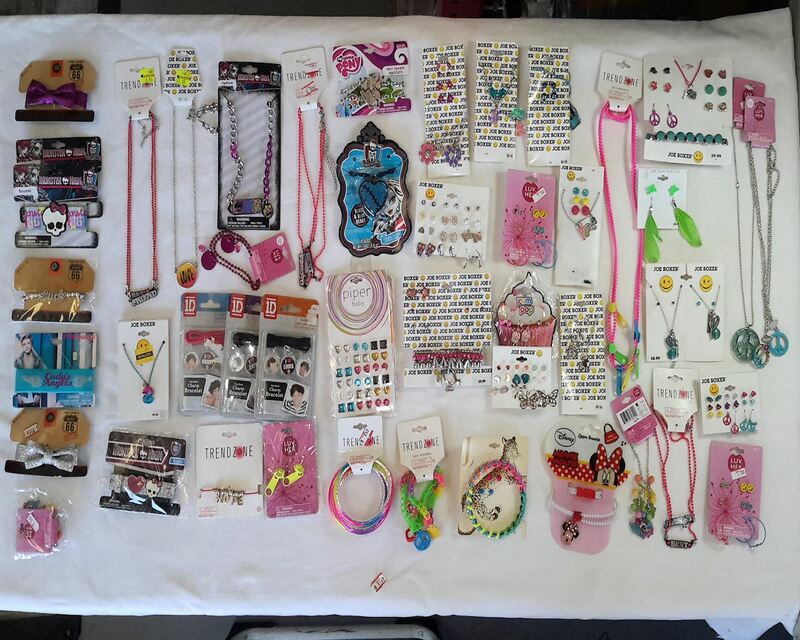 Click the button below to add the Wholesale Lot of Assorted Costume Fashion Girl Teen Tween Jewelry Brand Name Approx. 100 Pieces to your wish list.